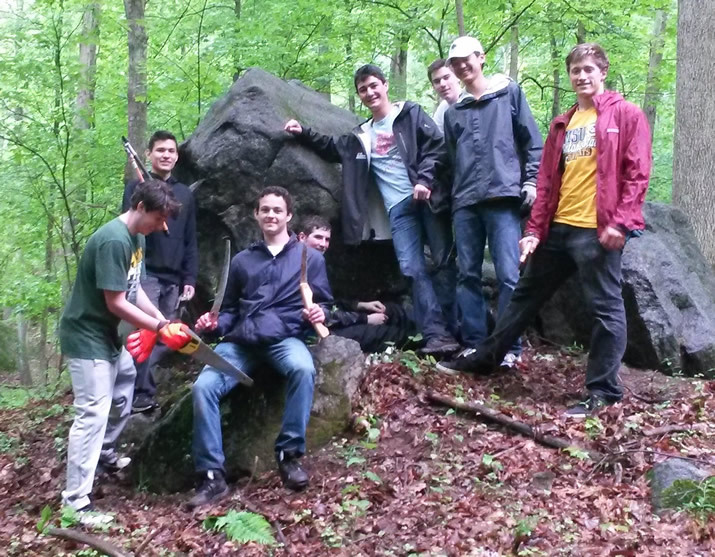 Rye Country Day School seniors again volunteer for their service days. 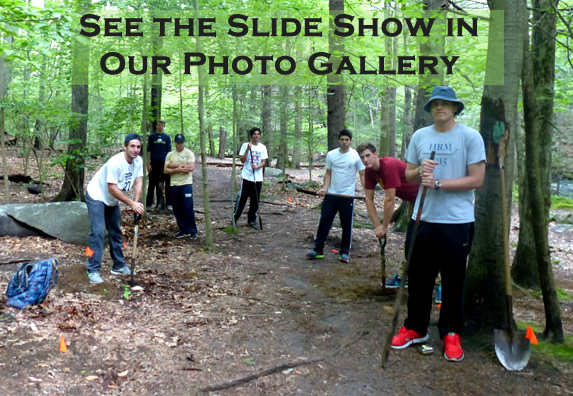 For the 3rd year we have had seniors from Rye Country Day School volunteer at the park. 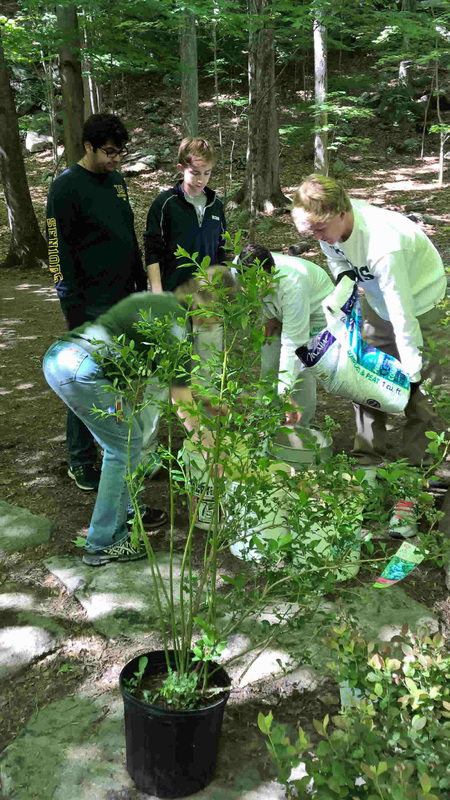 At Rye Country Day School, seniors are encouraged to volunteer in the community before graduation. This year, the Rye men dug holes and strung up the rope fence between the two hardened access points to encourage people to stay on the trail, they cleaned up the area around the parking lot and the red barn and then strung short deer fence adjacent to the 3rd hardened access that Trout Unlimited constructed in the spring and which will be finished in the fall. This year the seniors were Ryan Jaeger, Max Pomroy, Kyle Price, Will Turner, Grant Wagman, Justin Weissman, and Ryan Wolitzer. 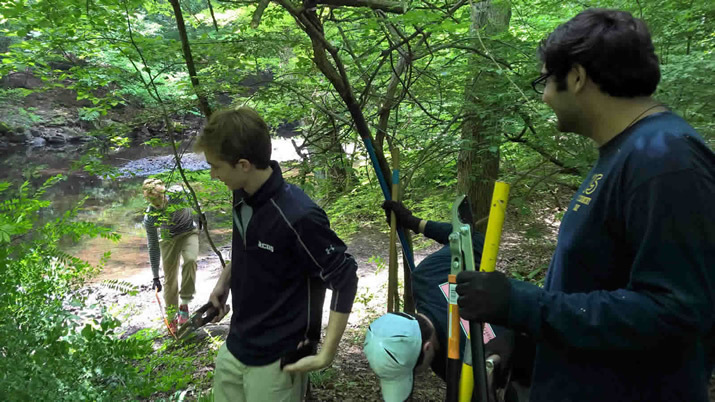 For the second year in a row, seniors from Rye Country Day School have volunteered their time to do trailwork in the Mianus River Park, during late May. 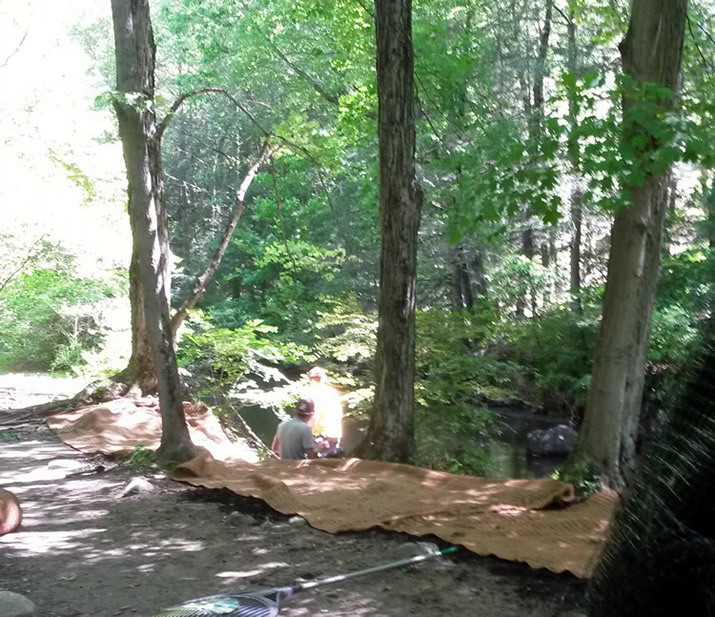 Their efforts were coordinated by members of the Board of the Friends of Mianus River Park. Photos can be seen below. Their efforts were greatly appreciated. 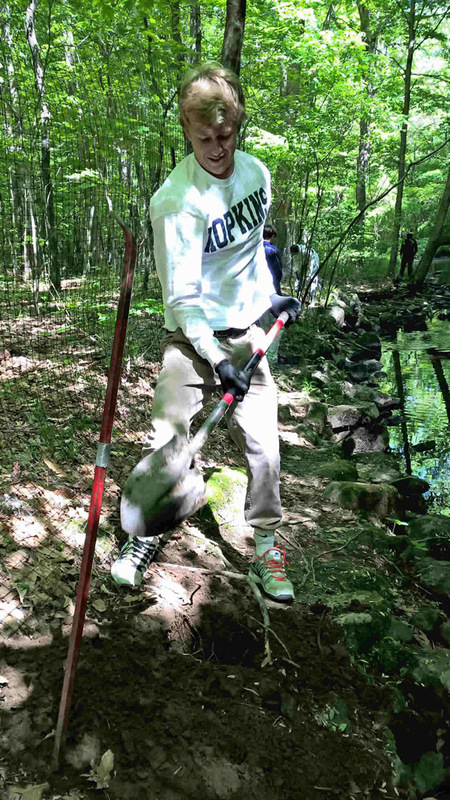 For six days in late May, seniors from Rye Country Day School volunteered at Mianus River Park. All the seniors at Rye are required to spend 6 days in service to the community after their exams and before they graduate. 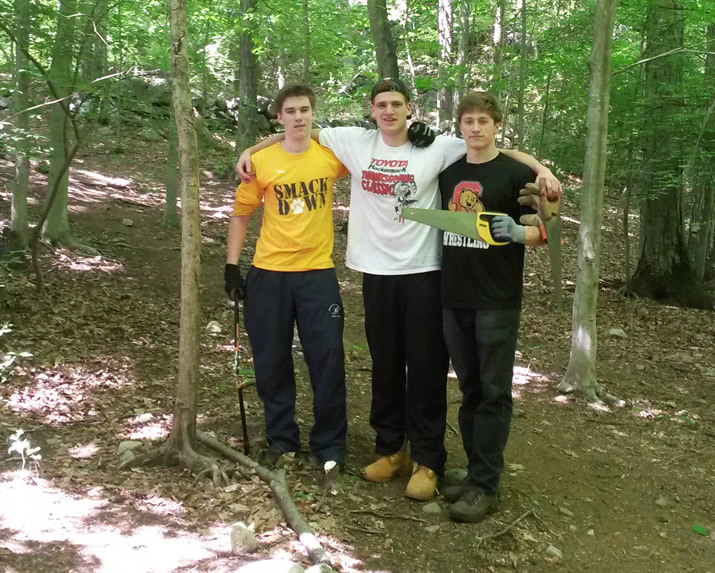 This group of 9 chose Mianus River Park for their service. Their enthusiasm, cheerfulness and willingness to work never flagged. As a result, we got a tremendous amount of work accomplished. Working with them were two board members from the Friends of Mianus River Park, Mary Ellen Burns and Pete Sofman. 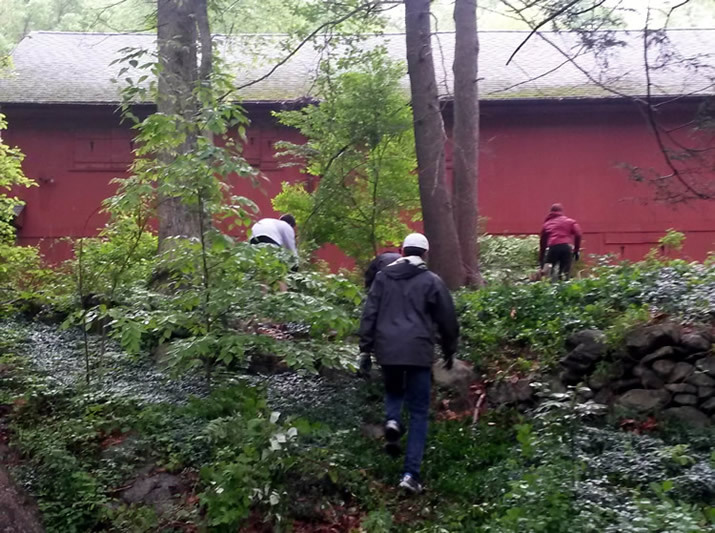 The seniors cleared the hillside by the red barn of a Japanese Barberry, winged euonymus, and garlic mustard. They also hauled mulch to fertilize the area where the Friends planted daffodils last September. 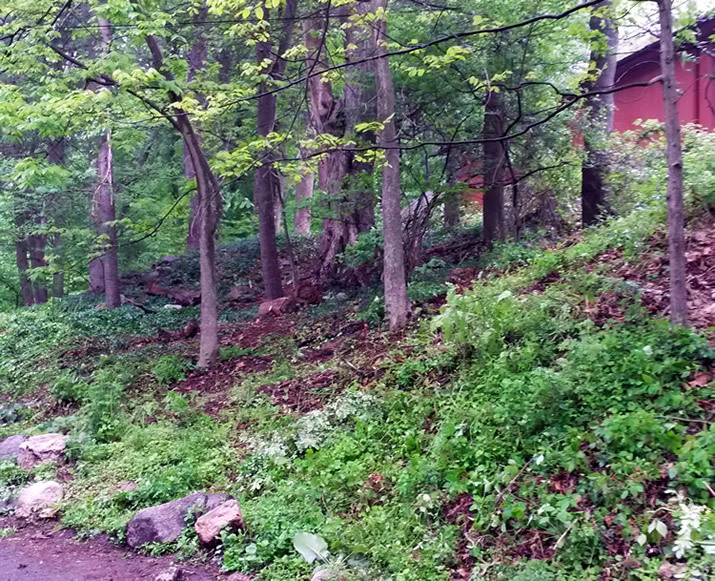 They cut an acre of winged euonymus near the River Trail. They moved rock and heavy dead fall to define Hill Trail and create obstacles to short cuts. They relined the wooded triangle by the first hardened access to eliminate shortcuts. 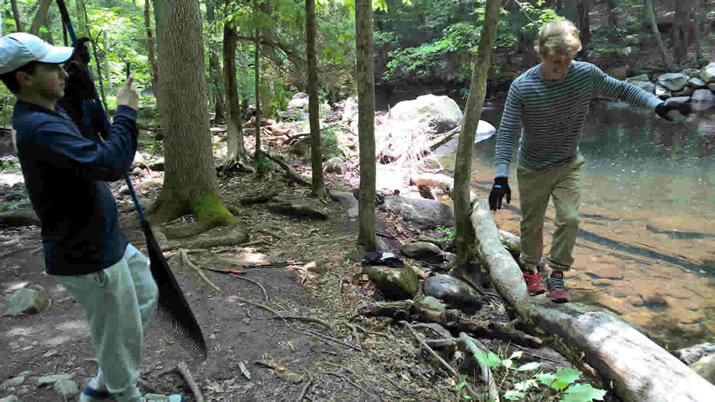 On the Inner Trail they pulled invasives and again used heavy deadfall, as in whole trees to reline and narrow the trail. 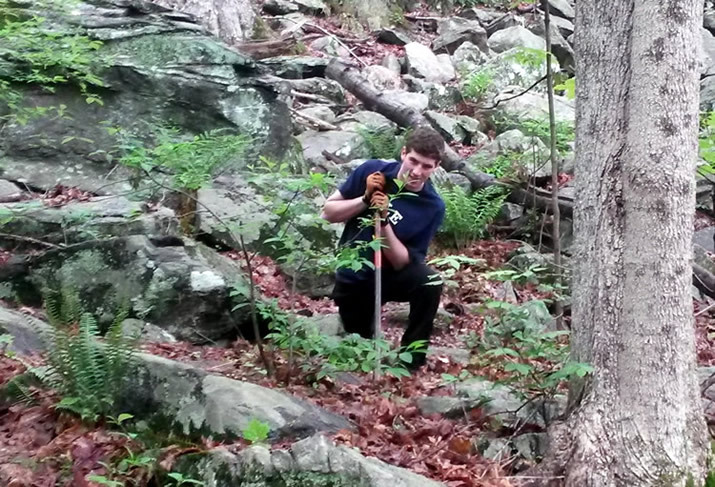 They also cleared fallen trees from the stone wall and redug a trench to allow water to flow off the trail. This is important because when the trail gets muddy, hikers broaden the trail to go around the mud. 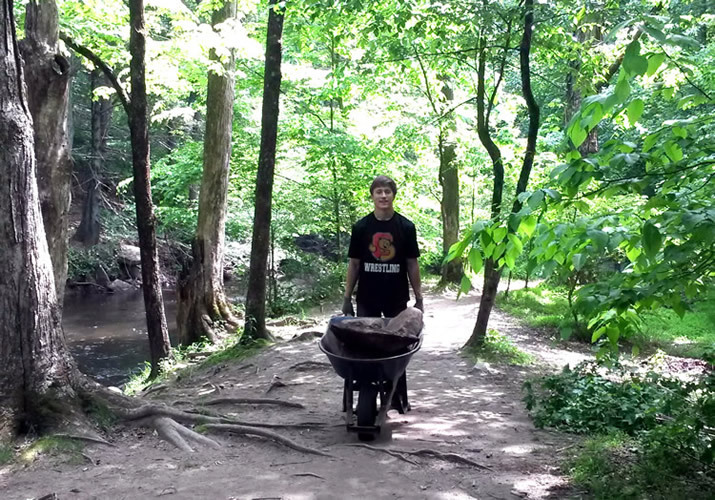 On the Meander Trail, in addition to narrowing parts of the trail significantly with rocks and deadfall, the Rye Country Day seniors hauled mulch, laid coconut fiber and hung fencing along a section of the river bank to inhibit the erosion of the river bank and allow nature to restore the understory. A planting project in the area may be in the future. 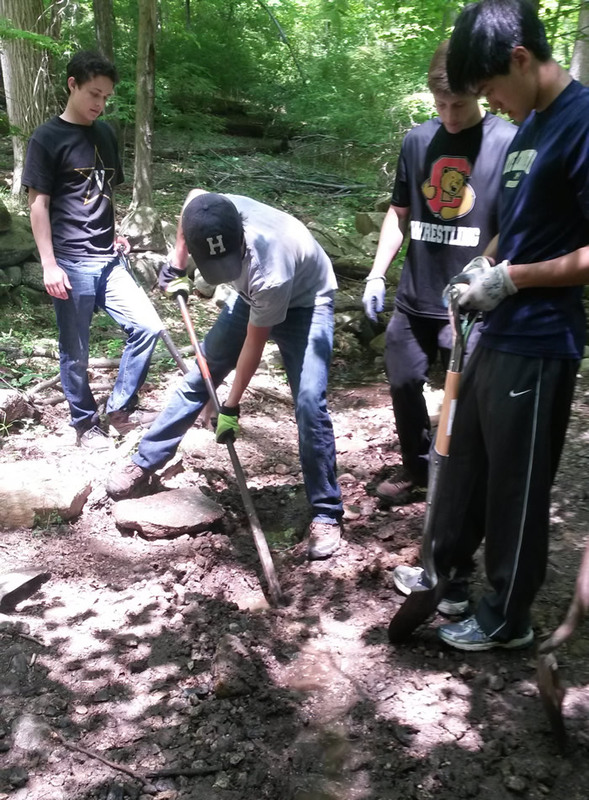 All in all, the team of 9 college-bound boys from Rye County Day contributed over 200 volunteer hours to the park. We are very grateful for their hard work and cheerful enthusiasm.